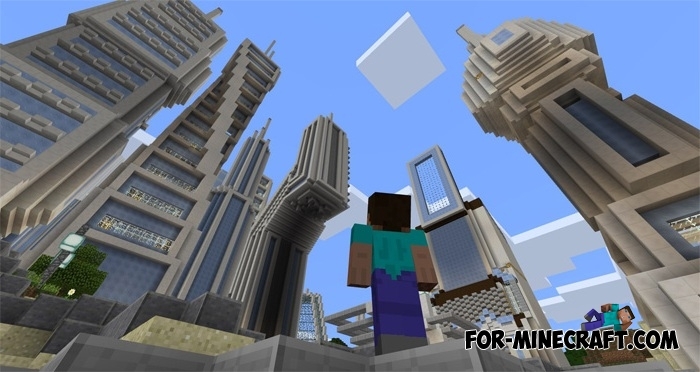 There are many medieval and modern cities that you can download here - Maps for Minecraft Pocket Edition, but there are not so many cities of the future. 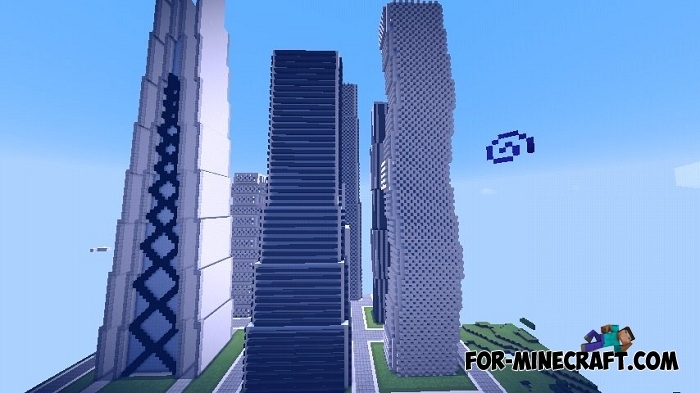 We suggest you download the Futuretroplis city that has high skyscrapers and glass buildings. This place could be used for multi-player battles or role-playing servers. 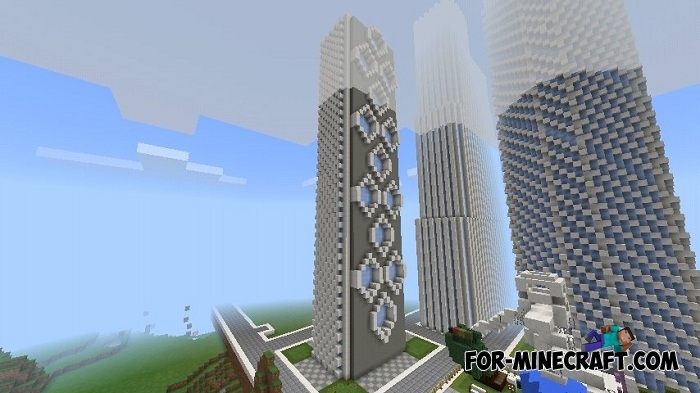 Added new buildings and skyscrapers, see screenshots below. A new park in the city. 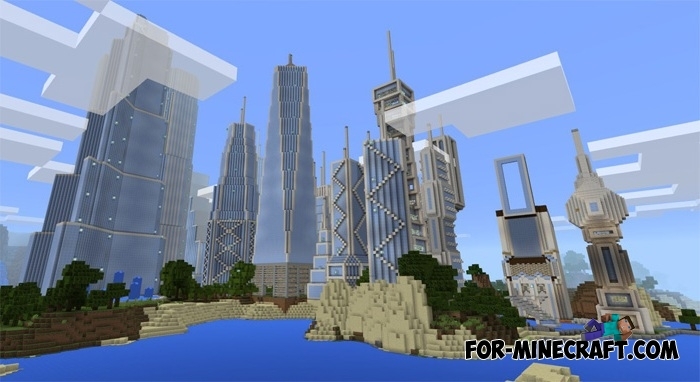 The number of skyscrapers increases and soon Futuretroplis will be the highest in MCPE. Some buildings are so high that they touch the sky. 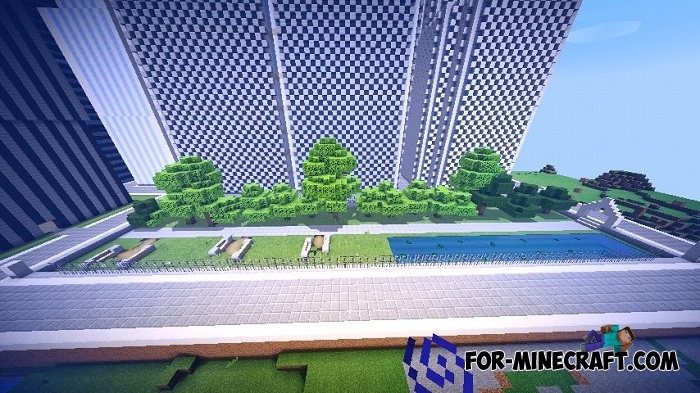 The infrastructure of the city does not have a network of roads or recreational facilities, Futuretroplis positions itself as a future city built in the style of Minecraft PE. 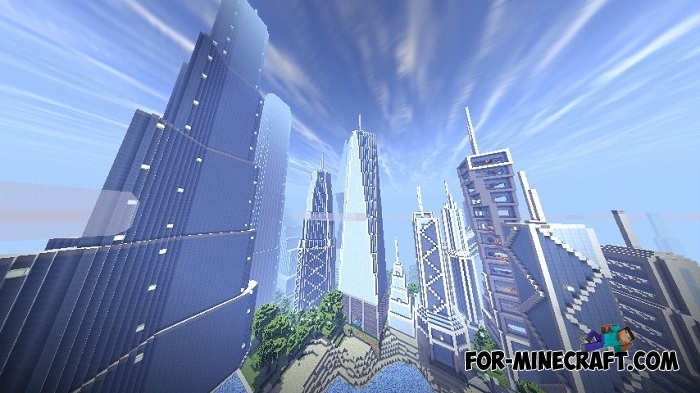 NXUS Modern map for Minecraft PE 0.15/1.2.14.3As soon as the have downloaded this map, you will see the largest and most diverse city for Minecraft Pocket Edition..
Can You Tell Me The Shaders On The First Screenshoot?? ?